Borussia Dortmund extended their unbeaten start to the Bundesliga season with a 3-1 win against Eintracht Frankfurt. The victory takes Lucien Favre's side top of the fledgling table but Dortmund were far from their best. They did take the lead after 36 minutes, though. Jacob Bruun Larsen's corner was met by Abdou Diallo, who bundled the ball into the net after Kevin Trapp saved the defender's initial header. The hosts introduced Jadon Sancho and handed a debut to Barcelona loanee Paco Alcacer from the bench, but appeared satisfied to attempt to hold onto their 1-0 lead. 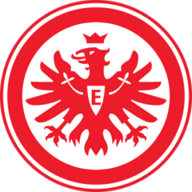 That plan came undone after 69 minutes, as they afforded too much space to Sebastien Haller, who swivelled to find the bottom corner for his third of the season to draw Frankfurt level. 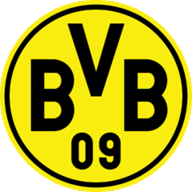 The Dortmund rally was immediate and they equalised four minutes later with a superb move, sparked by a brilliant pass from Marco Reus to find Sancho, whose deft turn and cross teed up Marius Wolf to lash home from 12 yards after a perfect first touch. And the win was sealed two minutes from time with a debut goal for Alcacer, whose strike deflected in off Haller.